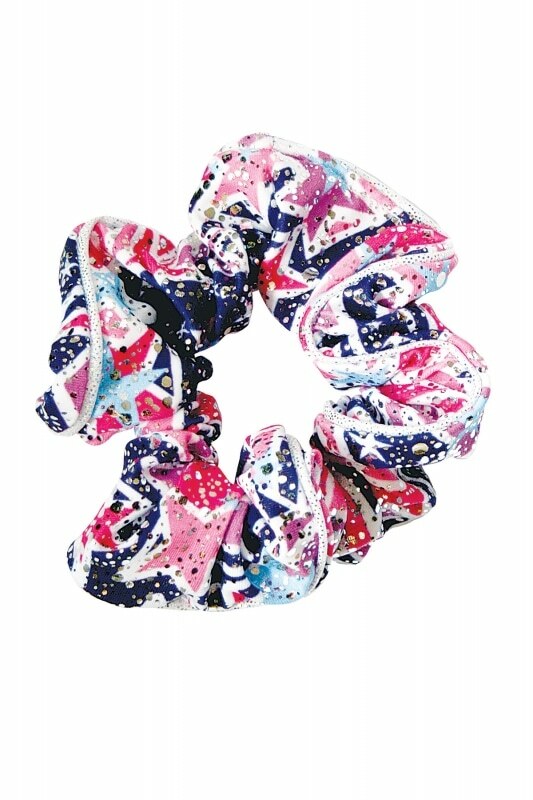 The stunning Halley Z1SCRHAL hair scrunchie from The Zone. This beautiful Halley foil print scrunchie perfectly matches all of our Halley leotards, with striking deep pinks and purples that will have you turning heads. Complemented with Silver hologram piping for the ultimate stylish look.